A genealogy ‘forum’ is a website where you can research in a safe, friendly and helpful environment. On most of these sites registration is free, and there are members who are dedicated to assisting all genealogists, whether they are beginners or experienced researchers. On genealogy forums members may ask for advice or offer helpful tips to other researchers. To post your query on forums you have to be a registered member, although the questions and answers posted by others can be read by non members. You will have access to the surnames database and most searches are possible using any combination of First Name, Surname, Place of Birth or Year of Birth. Some forums are even specific to regions and surnames. Many family history forums have very active online communities where members can share research tips, show off family photographs or discuss new methods for working on their family trees. In my own research, I have found that genealogy forums are a great resource when I’ve hit the ‘brick wall’. While working on my maternal grandmother’s tree I was trying to determine the location of a butcher shop that my great-grandfather had owned and operated in the city of Huddersfield, England. Through a genealogy forum with researchers in the U.K., I connected with ‘Pete’ who lived in Huddersfield and he kindly volunteered to stop by the local library and have a look in the city directories from the turn of the century. 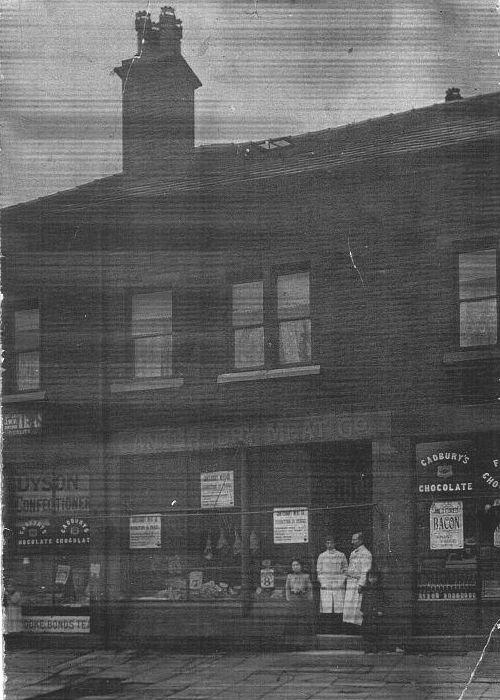 True to his word, Pete was able to find the listing for the Canterbury Meat Company at 34 Market Street, William Woolsey, proprietor. This is just one example of how forums can connect us with our past and help us to overcome obstacles in expanding our family trees. I invite you to share the genealogy forums that you have found helpful in your family history research. As always, good luck with your search! This entry was posted in Genealogy - Tips, Help & Links and tagged Arlene Stafford-Wilson, Genealogy Forums, Genealogy Links, Genealogy Tips, Lanark County books, Lanark County genealogy.